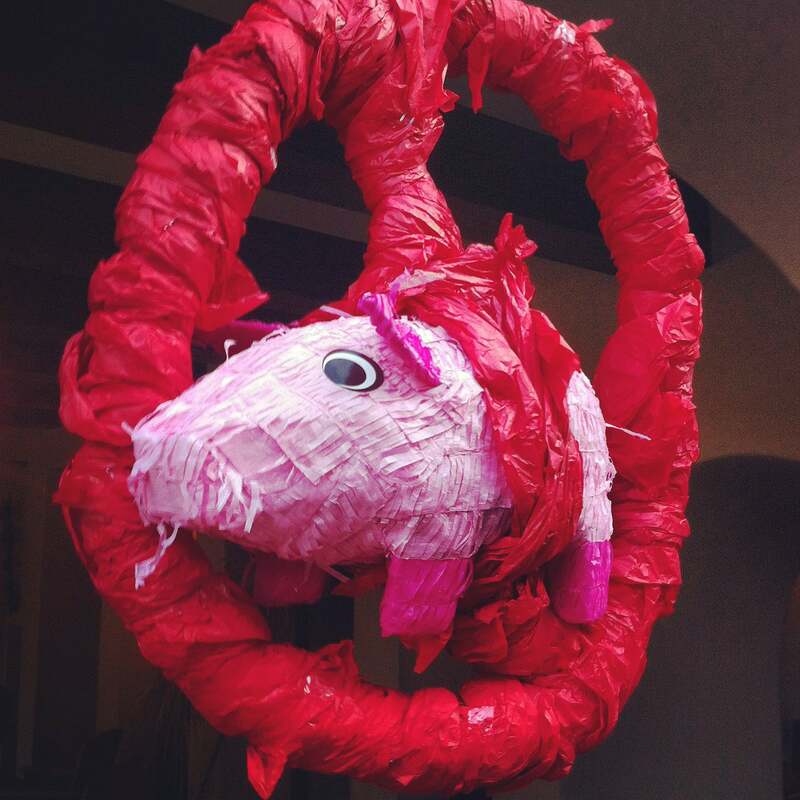 If you think piñatas can only contain candy, think again! Recently at a wedding party in LA, a couple celebrated their love for bacon and breakin' the rules. The groom Jewish and the bride Muslim, they acknowledge their cultural heritages' rules against eating pork, but choose to ignore them in the name of bacon. 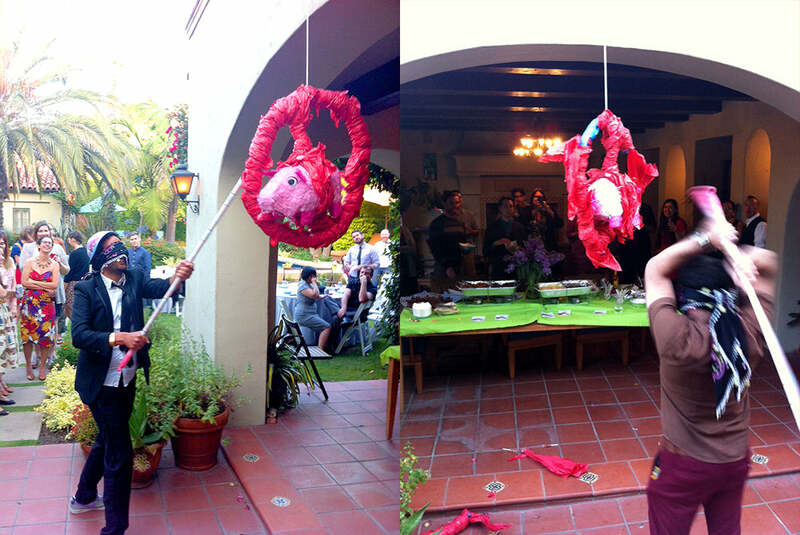 So for their wedding, they had an "anti-pork" piñata and by breaking the piñata, they symbolically broke the rules. This piñata contained not only delicious candy (including maple bacon lollypops) but also bonus "non-candy prizes," namely Gumball Poodle BACON socks! Because the socks require a larger hole to exit the piñata, they came out one or two socks at a time after the candy started to emerge. This made the fun of the piñata last longer, as people whacked at it hoping a pair of socks would emerge. What a way to one up a piñata party!